Biogenic amines are nitrogenous organic bases of low molecular weight with biological functions in animals, plants, microorganisms and humans. Their formation in food is either the result of endogenous amino acids’ decarboxylase activity in raw food material or the breakdown of free amino acids due to the action of microbial decarboxylase enzymes. Consumption of food containing excessive amounts of these amines can have toxicological implications due to their psychoactive and/or vasoactive properties. Therefore, the control of biogenic amines accumulation in foods during processing and storage is a challenge for the food industry. 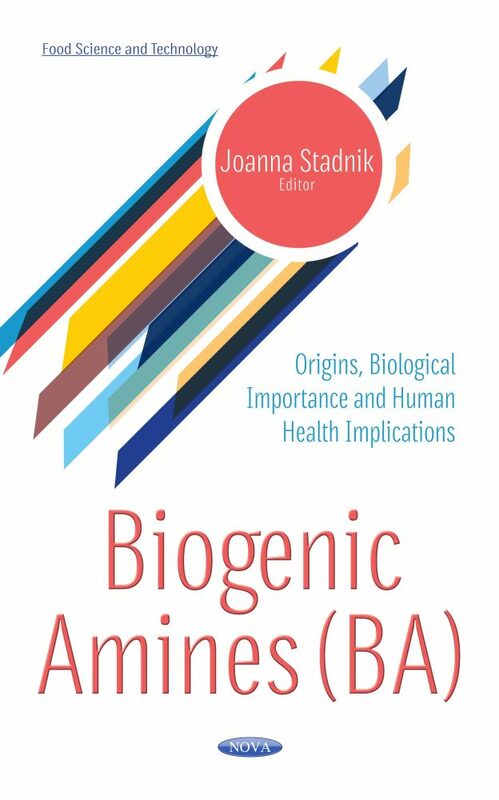 This book reviews origins, biological importance and human health implications of biogenic amines.